They come in a variety of sizes in blue gliden cotton. Cost is $20 each. 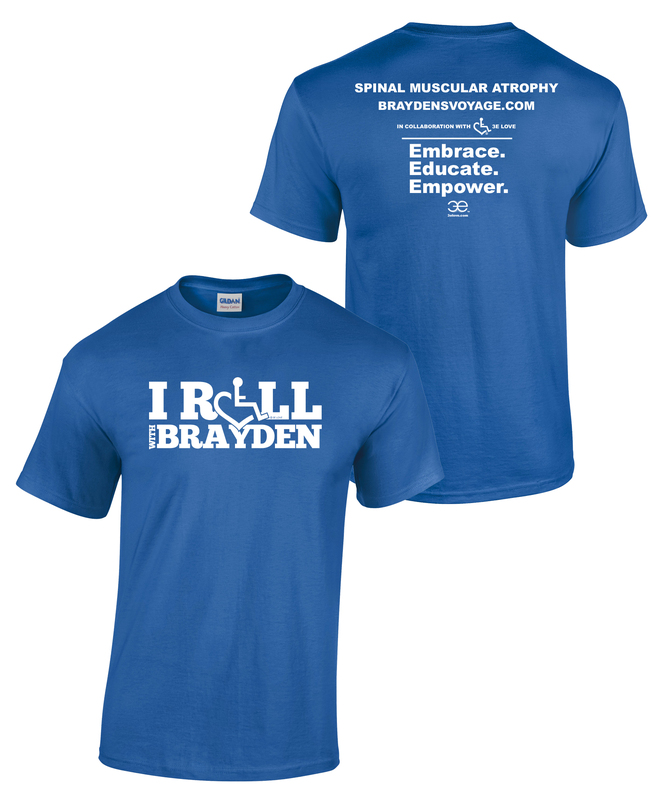 Thank you for spreading SMA awareness and supporting Brayden’s fight with SMA!! We are excited to announce that we have partnered with Woman’s Life Chapter 894 and Thrivent Financial this year for Brayden’s Annual Bowling Fundraiser. Please contact me to get your tickets today! cljanetzke@gmail.com or 231.903.9612 See our event by clicking here. Enjoy great food, fun & prizes!